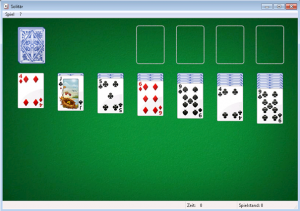 Um sich mit der Computermaus vertraut zu machen ist es empfehlenswert Spiele mit Maussteuerung zu spiele. Zum Beispiel Solitär. This entry was posted on Mittwoch, Februar 2nd, 2011 at 9:00	and is filed under Grundlagen. You can follow any responses to this entry through the RSS 2.0 feed. Both comments and pings are currently closed.